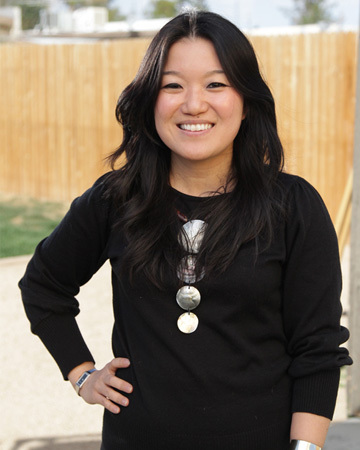 Jany Lee has worked as an interior designer since 2002. Uninspired by time in the financial and high tech industries, she left those careers behind to travel through six continents and 37 countries, invigorating her innate passion for design. Her approach to design has been influenced by her experience of different cultures and her appreciation of the diversity and natural beauty in the places she has visited. Born in Seoul but raised most of her life in Toronto, Jany has also lived in Australia and New Zealand. She received her Bachelor of Arts degree from Queen’s University in Canada, where she graduated with an Honors designation. Jany’s design philosophy is that the home should be your favorite place in the world. With a distinctive mix of different styles from modern to traditional, she creates timeless and elegant spaces tailored to the needs of each individual client. Her commitment to beauty in design is matched by her passion about the environment. Wherever feasible, she incorporates sustainability by repurposing or reusing pieces, selecting earth-friendly finishes and products and installing energy-efficient appliances and lighting. In 2009, Jany was selected as one of 10 finalists from over 8,700 applicants to compete on HGTV’s Design Star. Since then, she has kept busy with residential, commercial, hospitality and healthcare projects ranging from residences in Los Angeles to a boutique nail salon in Austin to a restaurant in Canada. Her unique ability for conceptual development has allowed her to successfully produce practical and meaningful design solutions. Jany’s dedication to the design community is also evident through her mentoring and guidance of students seeking their education in the design profession. She has taught design courses at the International Academy of Design and Technology and always welcomes the opportunity to help students achieve their aspirations. Her other credits include appearances on Good Morning Texas as a guest designer offering expert advice, and her work has been featured in The Dallas Morning News, the Fort Worth Star-Telegram and the Lake Highlands Advocate. She and her husband now live in Dallas, where she is adjusting to life as a new mother.